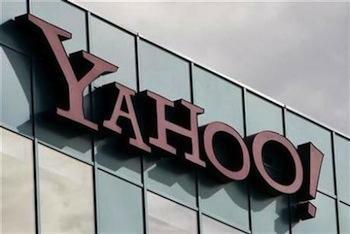 Two big players in the Internet world are going in different directions, as Yahoo! announced its second round of layoffs in two months, Google is announcing a wave of hiring that will near record proportions. As one of his final duties, soon to be former CEO,Eric Schmidt met with President Barak Obama and other business leaders to discuss ways to stimulate the stagnant economy. workers bringing the grand total to 24,400 employees globally. Google didn’t say how many of these jobs will be added in the United States, but in a speech Tuesday, Schmidt said Google will hire 1,000 workers in Europe by years end. As of today Google has more than sixty offices in more than thirty countries. “At this stage, the number of opportunities just vastly exceed the number of people we have at the company,” said Alan Eustace, Google’s senior vice president of engineering and research. In any event Google has more opportunities than it seems to be able to fill, which is good for both workers and Google. The personnel changes we are making are part of our ongoing strategy to best position Yahoo! for revenue growth and margin expansion and to support our strategy to deliver differentiated products and experiences to the marketplace. We’ll continue to hire on a global basis to support our key priorities. Today’s action impacts approximately 1% of the global employee base. Two pioneers of the Internet are going in very opposite directions. It’s nice to see that Google is going strong and there is still hope for economic rebound in Silicone Valley. On the other hand it’s kind of sad to see Yahoo! struggle as they were once the big dog in the industry. Readers do you even consider Yahoo! a viable competitor anymore? 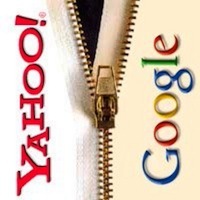 When was the last time you went to Yahoo! for information? I want to hear your thoughts in the comments below.